DeVere has a complete line of cleaners and disinfectants for the manufacturing industry. From entryway control to one step quaternary cleaners, DeVere has every chemical product for modern manufacturing facilities. This patented product is the first granular floor treatment and entryway control product that combines alkalinity and multiple oxidizing compounds for superior performance. When activated, this product generates hydrogen peroxide and oxygen. 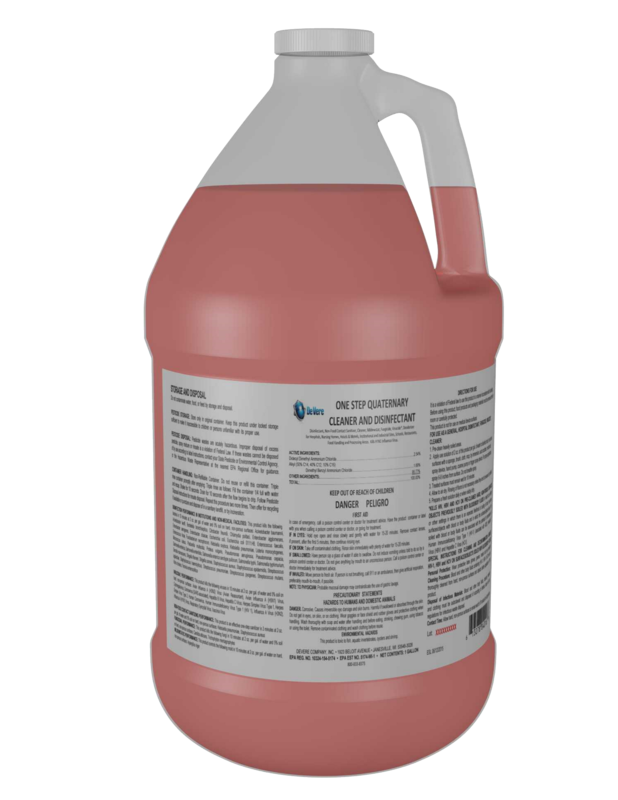 One Step Quaternary Cleaner and Disinfectant is an EPA-registered Disinfectant, Non-Food Contact Sanitizer, Cleaner, Mildewstat, Fungicide, Virucide* all in one. 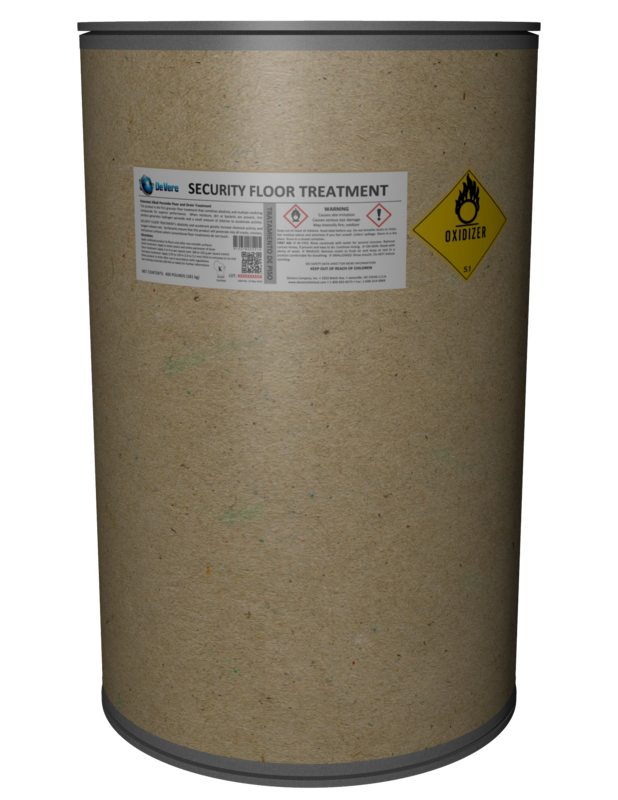 One Step Quaternary Cleaner and Disinfectant is ideal for use in all applications where cleaning and disinfecting in one step is required. Hard Kote is an acrylic metal interlock floor finish with 16.5% solids. This product is self-polishing it shines without buffing! Hard Kote is also formulated for hardness, high gloss, durability, and slip resistance. Hard Kote is black mark resistant. It will not discolor or powder. Ultra Kote is a superior, metal crosslinked floor finish with 18% solids. It is designed to meet today’s demands for fast drying, high gloss, low maintenance finishes. Ultra Kote is black mark resistant-it will not discolor or powder! One gallon of Ultra Kote covers up to 2,500 square feet! QDII Sanitizer is a disinfectant, sanitizer, deodorizer, mildew-stat, and virucide – all in one! This product is EPA registered as a food-contact sanitizer as well as a general purpose hard and soft surface sanitizer. QDII Food Service Sanitizer is a ready-to-use, disinfectant, sanitizer, deodorizer, mildew-stat, and virucide – all in one. WOW All Purpose Cleaner (WOW) is one of the strongest yet safest detergents made. It contains an exclusive wetting and cleaning agent, for powerful action on light soils to heavy grease. WOW is excellent for cleaning a wide range of hard surfaces from walls and woodwork to automobile interiors. Green Glass and Surface Cleaner is an all-purpose cleaner that quickly cleans windshields, windows, plate glass, mirrors, fixtures, chrome, and other hard surfaces. This product does not contain ammonia and will not leave streaks.